Climate change, rapid urban population growth, land use change, and public concern with rates and use restrictions complicate water management in the cities of the American West. This paper explores a particular collaborative relationship between university researchers and water utilities, providing solutions to barriers that prevent such collaborations. 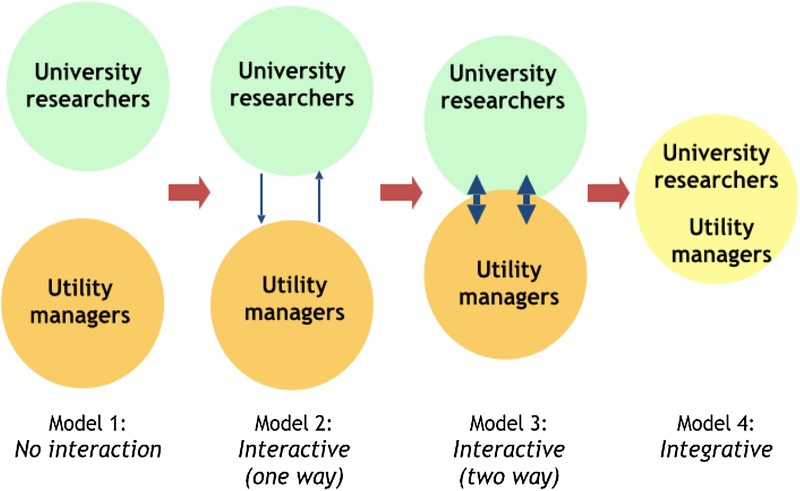 The authors argue that developing an integrated model for university-utility collaborations is a critical area to focus on to achieve sustainable urban water management and advance the water-related SDGs. Water harvesting is an ancient practice that has been used, mainly in dry environments, to increase efficiency of water collection and use by directing water from a large natural watershed or man-made collection surface into a small basin where the water can be stored in underground reservoirs or to be used directly for irrigation or domestic uses. In modern era water harvesting has been neglected, particularly at the developed countries, due to the technological achievements in the fields of water production and transport. This relates to SDG 6 and SDG 11. The sustainability of urban water systems is often compared in small numbers of cases selected as much for their familiarity as for their similarities and differences. Few studies examine large urban datasets to conduct comparisons that identify unexpected similarities and differences among urban water systems and problems. This work supports quantitative comparison of urban water sustainability. 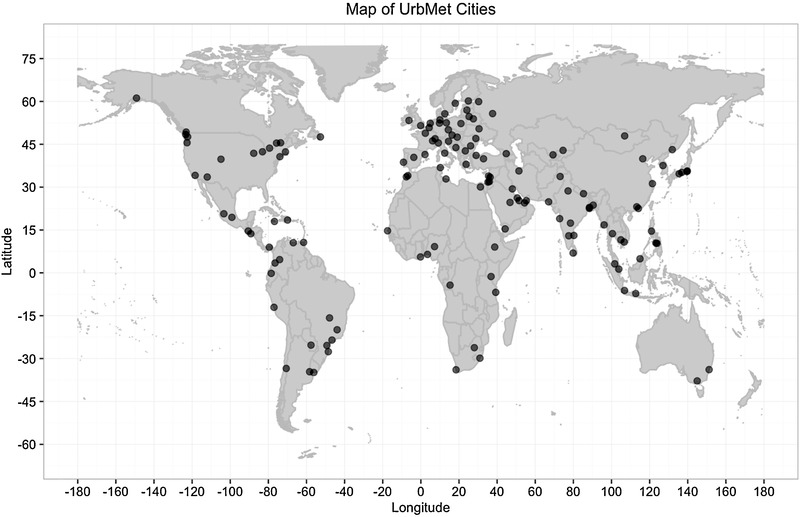 Cities were clustered to identify a typology of urban water management profiles. Clustering was based on per capita consumption, population, and annual water budget. This relates to SDG 6, 11 and 12. London’s ability to remain a world-leading city in an increasingly globalised economy is dependent on it being an efficient, low-risk place to do business and a desirable place to live. This article provides a framework for adaptation planning in urban water supply systems relating to SDG 6 and SDG 11. How does climate change affect combined sewer overflow in a system benefiting from rainwater harvesting systems? Combined Sewer Overflow (CSO) infrastructure are conventionally designed based on historical climate data. Yet, variability in rainfall intensities and patterns caused by climate change have a significant impact on the performance of an urban drainage system. Although rainwater harvesting (RWH) is a potential solution to manage stormwater in urban areas, its benefits in mitigating the climate change impacts on combined sewer networks have not been assessed yet. Hence, the goal of the present study was set to evaluate the effectiveness of RWH in alleviating the potential impacts of climate change on CSOs. This relates to SDG 6,11 and 12. 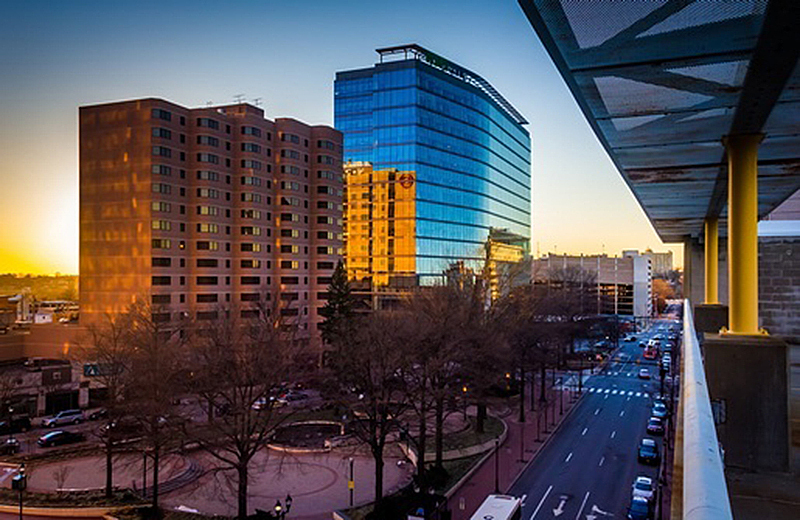 This study used social indicators to assess stormwater management. There is a lack of awareness about environmental regulations related to fertilizer use. Social dimensions are crucial in sustainable stormwater management. This addresses SDG 6 and SDG 11. Broad community support is required to drive progress on SDG 6 and to ensure future water security. This paper explores how social capital, measured by involvement in community organisations, might influence support for alternative water schemes. Research was conducted on a representative sample of Australian adults and highlight the importance of social capital in building engagement in water-related issues. Education for Sustainable Development (ESD) is vital for advancing the SDGs. This paper looks at transformative learning that prepares students for societal change. The discussion is grounded both in theories about hope from disparate scientific disciplines and in empirical research about young people’s hope concerning global climate change. These insights particularly inform SDG 4.7 to ensure that all learners acquire the knowledge and skills needed to promote sustainable development, as well as SDGs 3, 11 and 13. Overtourism' is likely to become a commonplace term over the next few years as the travel industry grapples with sustainable tourism. Addressing the issues faced will help to advance SDG 8.9 to devise and implement policies to promote sustainable tourism that create jobs and promote local culture and products as well as SDG 11.4 to strengthen efforts to protect and safeguard the world’s cultural and natural heritage. In the US, land owners are liable for environmental impacts in relation to contaminated land. This Lexis Practice Advisor practice note explains what due diligence should be carried out in relation to the purchase of land/buildings to assess the environmental risk. Environmental due diligence advances SDG 3.9 to substantially reduce the number of deaths and illnesses from hazardous chemicals and air, water and soil pollution and contamination, and generally supports SDG 11 Sustainable cities and SDG 15 Life on land.